AMAL and her husband George Clooney married in Venice, Italy, back in 2014, and now fans have been given an insight into their wedding ceremony. 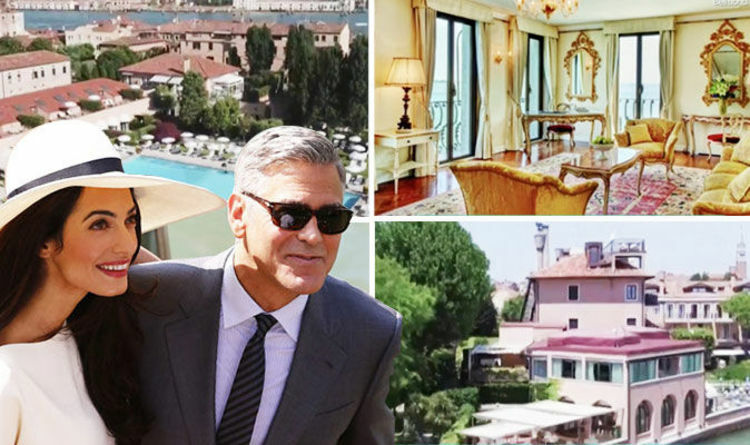 The couple hired out the luxury Belmond Hotel Cipriani for their family and friends, which costs up to £2,900 a night. Back in 2014, People magazine reported that the pair arrived to their lavish wedding venue in a water taxi. The publication also stated that Venice’s government announced the closure of streets near Town Hall for the time of their big day.